A Silicon Valley start-up have developed a machine capable of a biblical feat: turning water into wine. They call it the Miracle Machine: “the world’s first accelerated winemaking device for the home”. 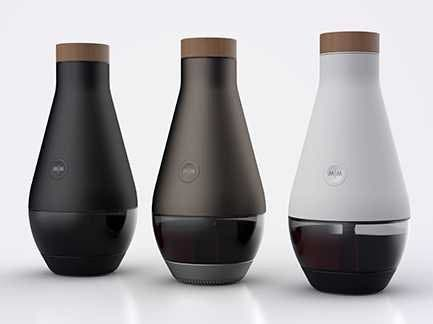 Pricing in at $500, the Miracle Machine looks like a cross between a vase and a Goa’uld communication device, but it comes pretty much complete with everything you need to make water into wine (including a plunger and various internal chambers). Pretty much like a bread machine, all you have to do is add the right ingredients, select a fermentation schedule via the smartphone app which comes with it and wait, as your water turns to wine. The estimated price to produce a quality bottle of wine is $2. The inventors of the Miracle Machine are Kevin Boyer and Philip James (the CEO of online wine club Lot18), who say that they came up with the idea for the product (how else?) over a drink or two. In order to make the wine, they suggest, you should buy the custom sachets of grape concentrate and yeast online and via a monthly wine club – straight to your door. 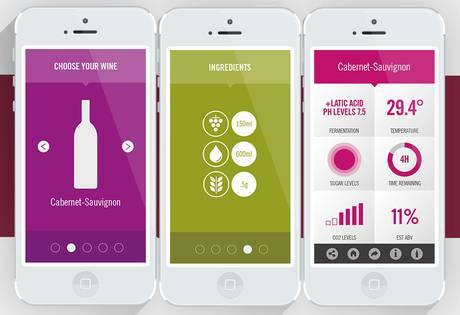 Users select a recipe based on the type of wine they’re after, and the app will then give them live feedback from various sensors in the bottle (including temperature, aeration, and estimated alcohol content) throughout the fermentation process. Of course, the main question that pops up is ‘Just how good is the wine?’. According to the two inventors, “rivals some of the best wines on the planet, at a fraction of the cost and in a hundredth of the time it would usually take”. See, I’m a little skeptical here. While the machine is incredibly cool and I believe shows a lot of promise, it seems pretty hard to believe that the wine is actually that good. I mean, in most countries in Europe, you can get a decent or even really good wine for some $10; and I’m not gonna be convinced by the quality of this wine until I taste it (so hey, looking forward to review the process). So I’m not really convinced by the efficiency of the Miracle Machine. Because if you get the equivalent of a $10 bottle for $2, then you’re saving about $8 per bottle, which means that you get a return on your investment in over 60 bottles – quite a handful ! Also, you’re limited to the 6 varieties, so unless you live in an area where wine is really expensive, then this is not really cost effective, and it’s little more than a nice, occasionally useful gadget.